SV: 23 years and 15 albums if you count the collaboration with Rick Braun and the seasonal projects, which we do because people loved them. Other people have come and gone, you’ve not only kept a high profile but you have built a wider fan base with each new release. This is the 10th #1 for you on charts that track Jazz and your highest debut on the the overall Pop chart too. BJ: It’s all relative when it comes to the charts because the music business is smaller than it used to be but to be at the top after all these years and to have a high debut on the pop chart too is mind boggling. I don’t know how (laughs). I don’t even know if I could be the one to answer that. It’s very difficult to be objective about your own music, much less your career. I just try to make the best music I can make. I’m sure everybody does but I’m just working really hard and staying very passionate about making the music I’m making. I haven’t let up at all. Maybe that’s part of it. I don’t feel any less intensity about creating music or performing music than I did when I was 23 years younger. Hopefully all these experiences I have had over the years are contributing to some growth in my music, my playing, and my producing. I always believed that if you make a rich tapestry of sound people are going to want to listen to it. That’s what I try to do and so far, so good. SV: You gather more people every time you release an album. You tour a lot and you really connect with the audience, you get out there and join the party you’re having with them and that brings them in. It’s like this beautiful snowball that keeps rolling. And people seem to be open to listening to more types of music so they might hear you on an R&B song and go online to hear more and get hooked too. BJ: It does seem like the wild west with the internet and people being exposed to more kinds of music. People seem to be responding to the music I make. I’m so grateful for that. And I’ve gotta say that my long time fans are still with me too. Just from reading what people say online on FaceBook or Twitter I get this sense that they have a feeling that I’m not going to let them down. I do feel a responsibility to those people who have been following me for years to not let them down, to make sure the music is up to my standards. Those are the only standards I can have any concept of, so I try to make a record that I would want to listen to and luckily there are lots of people who seem to want to listen to the same kind of music I want to hear. SV: It’s working because I saw several of your fans posting on your Twitter feed about how excited they were that you had a new one coming out and how much they were enjoying it. One guy did this tweet about how excited he was because he just got it in the mail and could put it on and listen. To be able to create that vibe with people individually is really big. BJ: It is awesome and it makes me feel so good when I see comments like that. SV: You have been proactive on social media. Do you think that has helped you connect with your audience so when you do have something coming out or are touring that it creates a noticeable buzz that might not have been there otherwise? BJ: It’s definitely a great tool for connecting with fans who are interested in you. They have to find you first. Luckily when I started the Twitter feed people signed up and they liked it and shared it so more people started following. 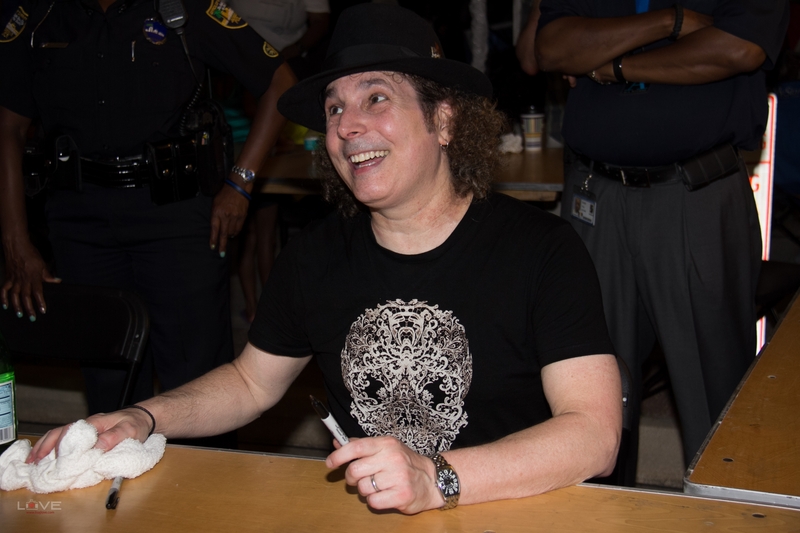 I try to keep it interesting and personal and it’s definitely added another layer of responsibility but also the opportunity to connect with fans who are interested in your music. And it’s fun. In the old days you really didn’t have any contact with people and now there is a lot of opportunity to stay in contact and it’s all about communication, which is always a good thing. SV: You have the most beautiful tone and nuance to your playing whether it’s a really powerful in your face song or something really soulful and subtle. It jumps out when you hear it, I can always tell it’s you when one of your songs comes up on a random stream like Pandora and I’m not staring at the screen. I think other people hear that too. BJ: I work on having a good sound. I spend hours and hours sweating out there in my studio working on the sound and trying to finesse it and improve it to make sure it’s there when I need it. That’s a lot of work to make that sound and I’m glad people can hear it. SV: That’s really cool because you make it look so effortless when you are on stage and I think we don’t really realize that people who have been doing it so long spend a lot of time practicing and taking their skills to even higher levels. BJ: It doesn’t happen by itself. Maybe for other guys, but for me I have to really work at it to play the way that I do. Of course I don’t exhibit that effort when I am actually doing it, but that is because I put in all those hours of preparation so I can just let it go when I am on stage or in the studio. There’s a lot of effort involved. 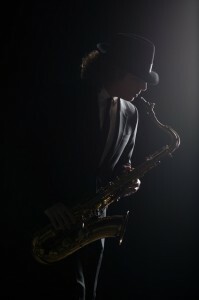 The sax is a very physical instrument, too. Lot of muscles involved in playing so it’s not something you can let go then just pick up on that level. SV: The other wonderful thing about you, which is really evident again in this new one is that your melodies are so irresistible and they just stick in your head and make you feel really good when you hear them. Let’s dig in. FutureSoul. Explain? BJ: It was really something that came out of the music itself. I was working on the tracks and I had four or five songs I was dabbling with. I was talking about the music with my engineer Dave Rideau and we both agreed that it sounded like modern soul music. That was the flavor we were getting from the tracks. We both felt like it was really modern sounding and soulful and maybe retro at the same time. The word “FutureSoul” just popped into my head. It felt like a poetic and interesting way to express how I felt the music sounded and that kind of set the tone for the rest of the songs as I was gathering them together. Once you identify what the core of the record is you can begin to finesse it to bring more of that out. That’s how it happened. It was a pretty organic process. SV: Was there a little set of songs that you had floating around? BJ:The process for me is that I start collecting ideas. I’ll hear a little bit of a song in my head and I’ll play it into a memo recorder or I’ll put down some chords and start to do a little session in ProTools. I might spend three or four minutes on it. Then I don’t push it, I just kind of collect ideas and some of these draw me back. I’ll open up the file and it starts very slow usually but after a while it becomes kind of this boulder you’re pushing downhill and it starts to gather speed, more ideas come and you start building these little scraps into songs. From there you are working on arrangements and doing overdubs and next thing you know you have a record. SV: Within that context there is so much diversity on this. The first track is really danceable then the album wraps up with this very organic beautiful jazz piece and in between you’ve got all these different things going on and there’s a common thread but without any sameness. BJ: I still pay a lot of attention to sequencing the record so it will have that effect. I know a lot of people are going to download it on iTunes and put it on shuffle and they won’t hear it the way I made it but I still care about the sequence telling a story and having all the songs compliment the song that came before and after it, so I put a lot of effort into making that happen. SV: I have no doubts that your fans are going to listen to it straight through. A lot of your fans grew up listening to whole albums, and people are going to get into all the songs on this one. BJ: I hope so because that’s the way I made it. You can’t control it after you put it out there. I’m just glad they are buying it and enjoying it. BJ: That one is an actual sample. There are a lot of different layers on this record and the background instruments are playing melodies too so it gives it that feeling. I really like music where the arrangements are dense and all the parts are saying something by themselves that makes a harmonious whole when it all comes together. A big part of my process is building that fabric. SV: You used a lot of electronics here too, a lot of modern production techniques. There is this electronic/mellow house feel to some of the songs and that kind of angular, jagged NuSoul vibe too. BJ: I am having a lot of fun playing with the studio stuff now. I do it all in the computer and you can just shift sound around and use all the plug-ins and filters and samples and lean more towards the modern in terms of the overall sound. I loved the contrast between that and the retro influences in some of the melodies and arrangements. SV: When you’re a creative person with a lot of toys how do you keep from over-tweaking? BJ: That’s just instinct. You have to know that at a certain point you might be making it worse and not better. You might be sucking some vibe out of something by trying to make it too perfect. I try to leave a little bit of imperfection in each song – to not overpolish it – so it will feel alive. So much of it is listening to your internal compass. SV: I think your internal compass has guided you all along because your albums have had a cohesiveness within each project and an identifiable sound but they have been different entities. BJ: That’s definitely something I’m looking for. That each record will make it’s own statement and be distinct from the one that came before but still identifiably me. Kind of walking that tightrope. SV: The last one was very caliente, very hot. This one is more chill. BJ: I would say warm. SV: Warmly chill (laughs). It’s definitely got this warmth to it, and it’s got a mellow thing going on. BJ: Musically I think it’s warm. There’s some very enveloping music on here, songs like “Hand in Hand” and “Far From Home.” A little bath-like in a way (laughs). SV: Enveloping – that’s perfect. “The Moment” has that vibe and it sounds like a throwback to some of your early stuff. BJ: Yeah, I heard that too. It sounds like it could be on Seduction or something. We’re going into rehearsals to put the new show together this week and that’s actually one of the songs I want us to learn and see how it sounds live with the band. SV: There’s that gorgeous shimmering keyboard sound on “Hand in Hand” and you are playing with a lot of subtlety. It’s just so beautiful and reminiscent of a lot of the beautifully textured sax ballads from the early days of Cjazz. BJ: That was again just responding to the music and it’s very sparse because that’s how it felt. It’s a co-write with my old friend Daryl Smith. We co-wrote a song called “Lights Down Low” on the Seduction album many years ago, and we co-wrote “It’s All Good” and a number of other songs. He had been off touring with people like Bette Midler and Janet Jackson and we hadn’t written a song together for almost 10 years. He sent me the keyboards for that track and I loved it. That’s how that came about. It has this flavor from another time and a slight gospel feeling but it’s very modern in the way the drums and the bass sound. That’s what really drew me to it. It might have been the last song we wrote for this album and it had this kind of Sam Smith feel to it. SV: “Fortuneteller” really jumped out. It sounds so different from anything you’ve done, almost like you’re using Middle Eastern chords and scales. It does sound like you are walking into a fortuneteller’s tent at a psychic faire or something. BJ: That’s all me. I wrote and played almost everything on that song except for some drums and keyboard loops. I title the songs after they are done and I heard that too, a little bit of mysticism. I don’t know where that song came from but I love it and it does strike me as unusual and unique. I was pretty proud of it when I finished it. SV: And there’s the title track, which isn’t the opener but it’s a definitive statement. BJ: That’s a co-write with Dwele. He sent me the track with the music for that and I ended up writing the melody which is completely opposite from how we worked before. He’s a singer so I sent him music and he would come up with the lyrics to it. It was interesting to have a little bit of his arrangement flavor on the record. SV: “Vinyl” grabbed my ear obviously because of the little piece of “People Make The World Go Round,” which a lot of us actually owned on vinyl at some point in time. BJ: Exactly. That’s the first time I ever sampled another person’s record on one of my projects and it’s a big move. You have to clear a lot of rights to do that. But once I had it started I couldn’t let it go. It just worked so I jumped in and did what needed to be done to take the song where I wanted it to be and it was definitely worth it. SV: This one has two strong vocals, which is less than most of your recent albums have had. BJ: I actually recorded another vocal and there were some issues with clearing the rights for the singer. Things like that happen but I think it worked well because the record feels finished to me. With vocals it’s always a function of what will flesh out the songs I’ve written over that two year period. Sometimes vocal songs come out more than others. Sometimes you write a piece of music and it just doesn’t work for solo saxophone or you have this strong sense that it could be a hit if you had a singer on it. The two vocals that are on the album feel that way to me, but the other songs felt finished and felt just right as they were. SV: You usually do a cover or two but this time around it’s all originals. BJ: Again, it was instinct. I don’t want to feel like I have to include something because I have done it before, whether it’s a vocal, a cover, even a specific style. I wasn’t feeling any urge to do covers. People were asking if I was going to do a cover and I had all these songs that I love and wanted to put on the album. I just didn’t feel the need to do anything more. SV: You do have a vocal on here that is doing well as a crossover too. BJ: Which is a beautiful thing. That’s Stokley from Mint Condition. I had always been a fan and it happened like it happened with Raheem DeVaughn on the last album. He started following me on Twitter and I wrote a direct message to him asking if he would like to collaborate. He said “yeah, what have you got?” I sent him this song with me humming the melody and he said he thought he could work with that. A few weeks later he had this finished vocal. 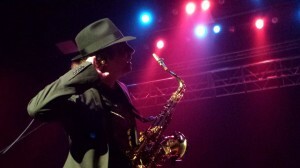 SV: The last track, “Far From Home,” has a straight-ahead feel to it and introduces an up and coming trumpet player. BJ: That’s Marquis Hill. He was actually recommended to me by John Burk, who is the Chief Creative Officer at Concord. I was playing new music for him and I had a sample of a trumpet playing and I had ideas of people I could use. He said I should check out Marquis Hill. They had just signed him and the reason he was signed was that he had won the Thelonius Monk International Jazz Trumpet Competition here in LA that is judged by people like Herbie Hancock and Quincy Jones. One of the things he won was the deal with Concord Records. They turned me on to him and he came over to my studio and was amazing. SV: You have said that you are a studio geek and love to play with the technology and explore what it can do but you use human beings, which is so fabulous. I rarely see a song that has one or two people playing every instrument on the track, it’s mostly a collection of some of the hottest players out there both new and established. BJ: Nothing compares to live musicians. Technology is wonderful but it can’t do what they can do. The technology allows us to share files and collaborate in ways that we couldn’t before because you don’t have to live in the same city or do a lot of travel to record together now. That opens a lot of opportunities. SV: Do you do much recording live in the studio with other player? BJ: It depends. It depends on the project, the sound, and obviously logistics and availability. Lots of times I will try to get people together so they can feed off each other, other times it’s just me and a musician in my studio doing an overdub which is nice because you get the live feeling and have the control at the same time. Really great musicians can play in a way that is passionate and interesting even when they are playing to a track. That’s a skill itself and the musicians I use can do it live, to a track in the studio, or do it in their studio. That’s the kind of versatility they have. SV: You mentioned some of your influences going back to the time of Earth Wind and Fire and even King Curtis. Your fans are going to hear about these influences on your social media comments and other publicity. If they want to dig deeper into these influences who would you turn them on to? BJ: Earth, Wind and Fire, King Curtis, Grover, Stevie Wonder, The Crusaders, Joe Sample. All that stuff. The things that were happening in the 70’s had a big influence on me because that’s when I started getting deeply into music and there was so much exciting music out there. It’s hard to even list them all because there were so many. It was a great soup of music. Hopefully it’s not a lost art. My concern is that music is less valuable to the culture now and people are paying less attention to it. Then people pay less attention to making great music. That’s a slight concern I have but I’m trying to do my part. 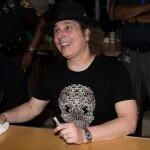 SV: And that kind of segues into the work you did on Al Jarreau’s My Old Friend which was a tribute to George Duke, who created a lot of great music and mentored and inspired so many other musicians to do the same thing. On one of the tracks you produced, “You Bring Me Joy,” the keyboard textures you used have that definite 70’s/80’s feel and your sax work sounds like it was influenced by John Klemmer’s Touch album, which was one of the most influential mellow contemporary jazz albums ever. BJ: I’m always trying to respond to the song and that is how I heard that. I think when he wrote it it was kind of a throwback. He was trying to cop some of that vibe so I just tried to follow through on that and follow the melody to the way I was feeling it and that’s how it came out. SV: The way you put “No Rhyme, No Reason” together was just stunning. That is a really significant song because it touches a subject that a lot of people have been through and haven’t been able to express with the clarity that this song does. BJ: That’s a great song. Right away I heard it in a different way and I wanted to try to recreate it. The other track I did was much more faithful to the original version. As a matter of fact we used most of George’s original track and just replaced some of it but this one was a reinvention. We sort of tore apart and built it back up. A great song is going to shine through no matter how you arrange it but it was fun to take it to a different place. BJ: Kelly Price did such a great job and I think that inspired Al to try some different things too. SV: What was it like to be in there surrounded by the people who were working on that project? BJ: It was awesome. It was a great experience. It was an honor to be producing Al Jarreau anyway. The fact that they invited me to participate was really flattering and we had a wonderful time working together. SV: When I interviewed Al Jarreau he said one of the reasons they really wanted you was that you had this sensibility to see both sides – to connect with the R&B audience and bring the contemporary jazz vibe. That you brought a wider perspective and the potential for a broader appeal to the songs. BJ: I guess they had listened to some of my records and heard something they liked. I try to keep my ear to the ground sonically but I also come from where I am coming from in terms of my roots musically. And that’s what this new record of mine is all about. To bring the two eras of music together. SV: I think that’s the spirit of it that people love and people are connecting with it. I think it’s going to have a great run. Boney is bringing the energy, charisma and FutureSoul to venues across the US with a stop in Mexico for the Cancun Jazz Festival. 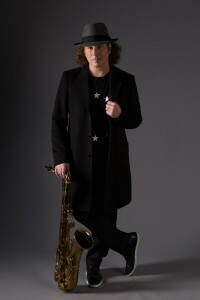 For tour dates and updates visit his website www.boneyjames.com. 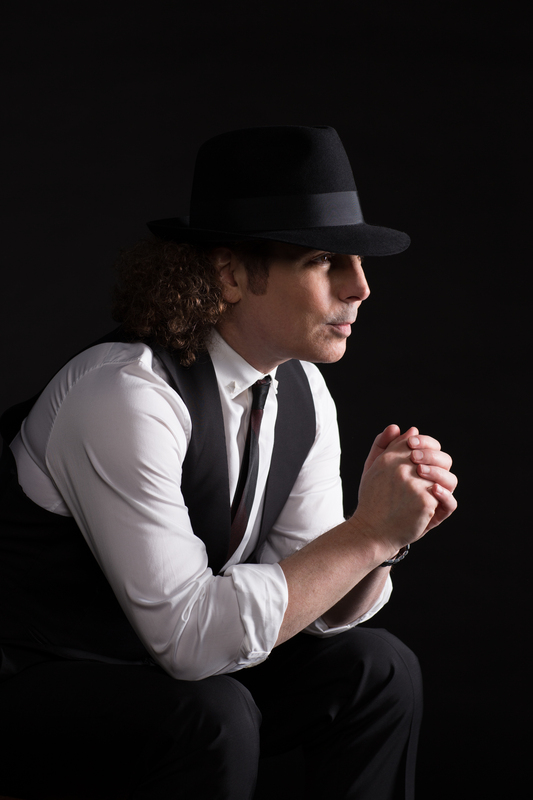 Boney tweets @boneyjames and you can connect on Facebook here. Powerful post, great insight, and well written. Thanks Shannon! 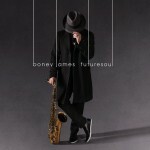 Boney James is one of the biggest reasons why I fell in love with Jazz I can do most of his songs note for note. I have never had the opportunity to see him live but he is on my bucket list and I will continue to buy his music as long as his horn continues to blow. No one make you feel the music like boney! One of my favorites is… a lights down low OMG makes my heart skip a beat. Me my hus.and sis. Love love love you and wish you continued success ??? 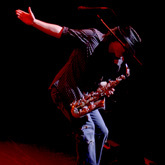 I’m almost ashamed to say that I haven’t even heard of Boney James until 3 weeks ago. Ashamed only because he’s been around for a while and is the greatest in his profession EVER. 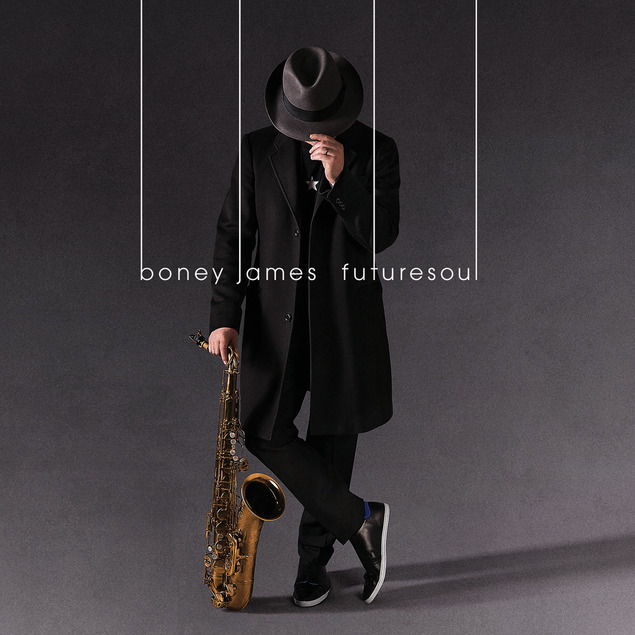 In the last three weeks, I’ve purchased “Futuresoul”, booked my seat at The House of Blues in Houston to see Boney live, and now I’m working on purchasing his other top CD’s. I said all of that to say that I first heard Boney on XM Radio and very quickly fell in love with his music; with everything he’s ever produced. I’m his newest and most excited fan! That just means you get to discover a whole treasure box of wonderful music. Do not miss his debut album, Trust. It sounds just as wonderful now as it did when it first came out. 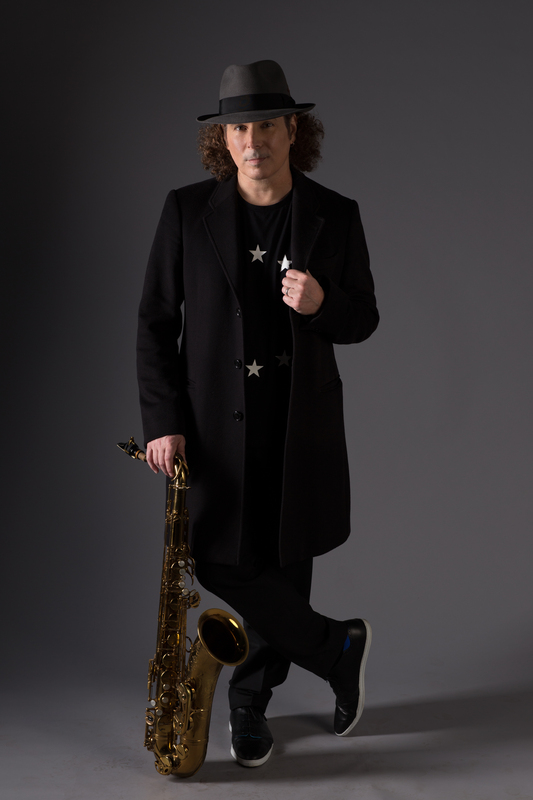 I was in radio at the time – it showed up in the mail and the entire contemporary jazz community started buzzing about how this musician had something really special going on and was going to be around for a long time. He has been and he just keeps getting better.